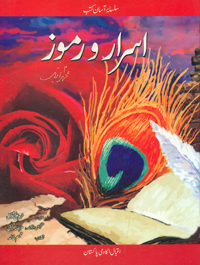 Note: Sir Muhammad Iqbal, Asrar-o-Ramuz: Junior Readers Edition, trans. by Muzammilla Shafique (Lahore: Iqbal Academy Pakistan, 2010), p. 38. Bibliography: Iqbal, Sir Muhammad. Asrar-o-Ramuz: Junior Readers Edition. Translated by Shafique, Muzammilla. Lahore: Iqbal Academy Pakistan, 2010.